An apple a day! 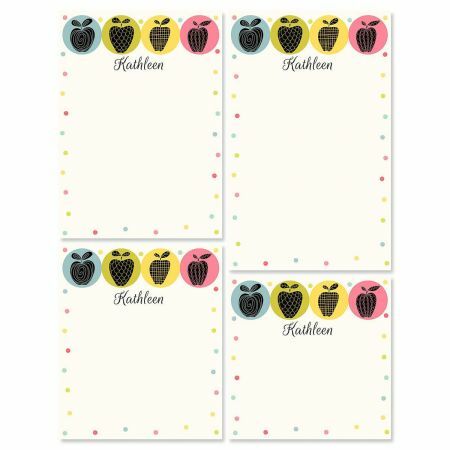 These fun apple accents will make your “to-do” lists pop with color! 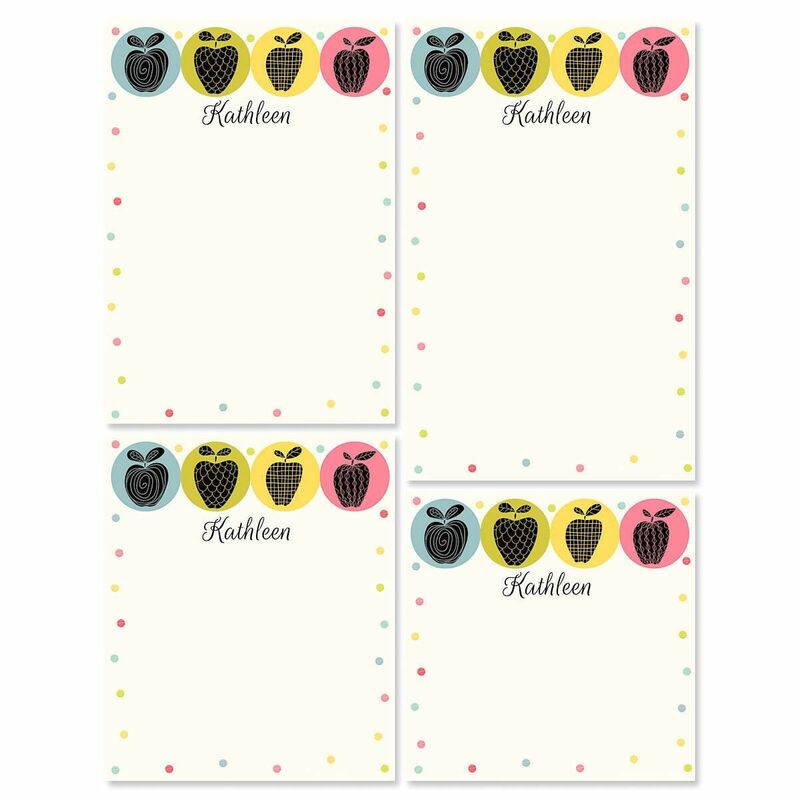 Designed as a set of 4 notepads with your personalized name or unique message. Keep one notepad on your desk, one in your purse, one by the phone, and another on your nightstand. 100 sheets in each pad. Set of 4 (4 sizes/designs). Specify 1 line up to 16 characters.